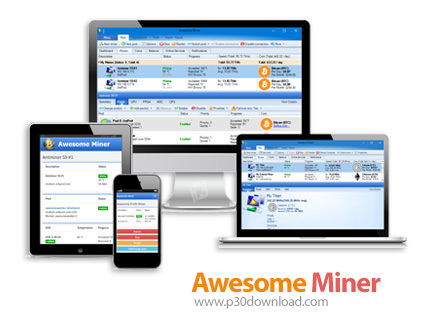 Manage and monitor mining of Bitcoin, Litecoin, Ethereum andmore Centralized management for up to 5000 miners. 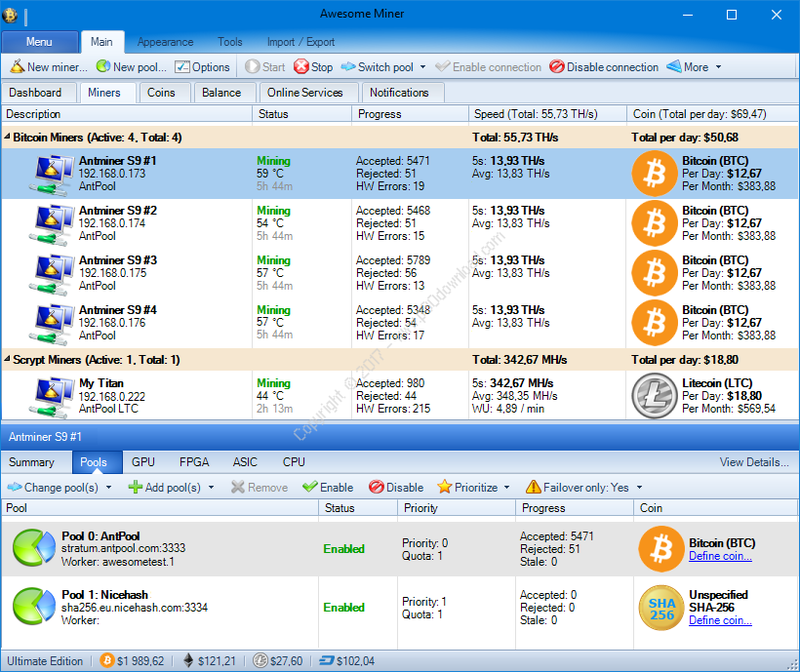 Awesome Miner Next generation profitability switching uses bothreal-time multi-pool statistics and coin statistics toautomatically switch between multiple pools, algorithms and miningsoftware to always ensure highest possible profitability. 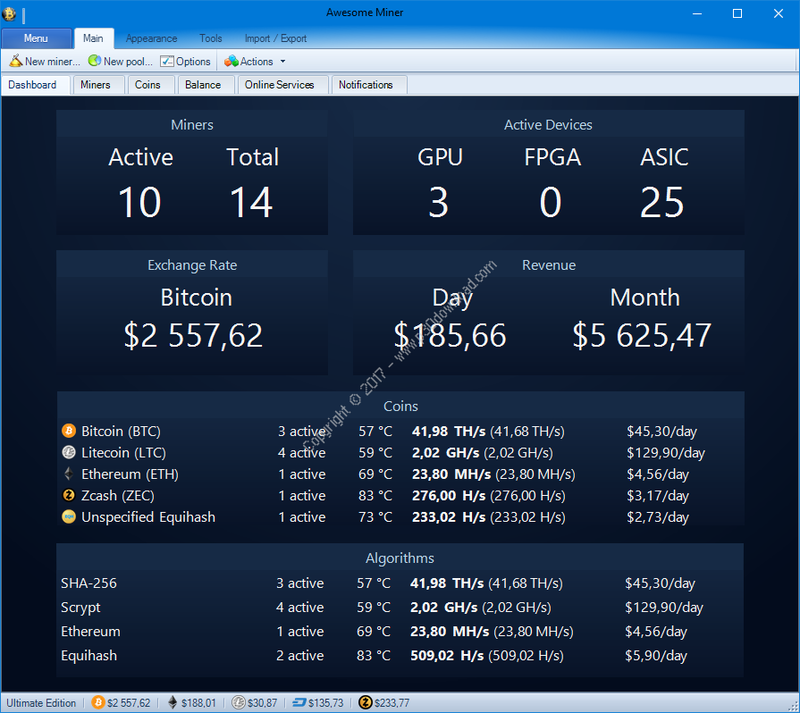 Awesome Miner can also display information, exchange rates and doprofitability calculations for Bitcoin, Litecoin and all otherpopular coins. 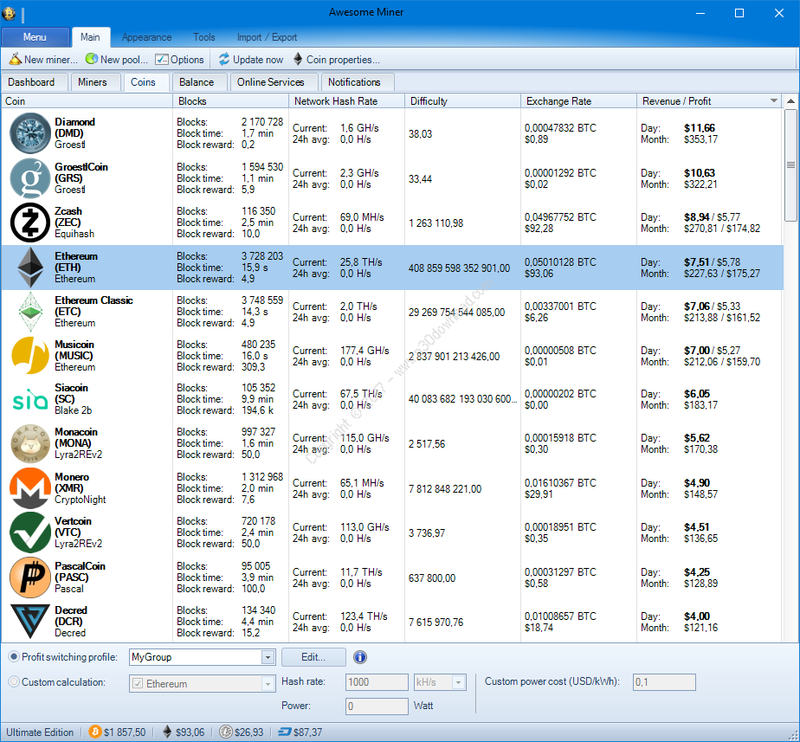 Awesome Miner can show Desktop Notifications on the Windows desktopto alert about mining issues. Notifications can also be sent bye-mail. Detection of failing devices, high temperatures, slow miningprogress, hanging miners and disconnected miners. Automatic restartminers with problems, with fully customizable triggers andactions. Awesome Miner has support for multiple mining engines. 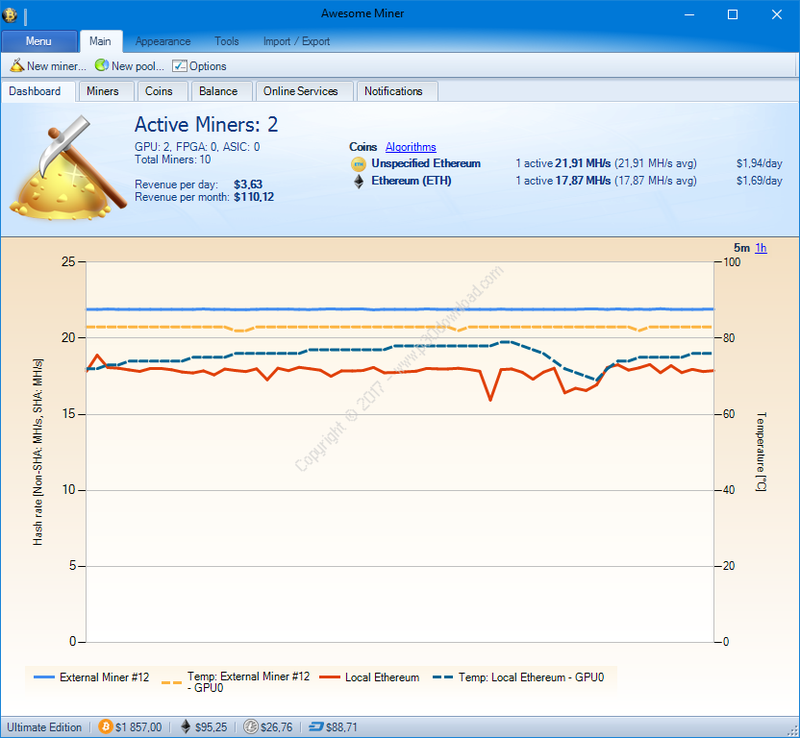 A total of11 mining engines are supported, including Cgminer, Bfgminer,Sgminer and several Claymore miners. Awesome Miner supports all popular mining algorithms. A total of 26algorithms are supported including SHA-256, Scrypt, X11, Ethereumand Zcash. Add, switch and manage mining pools easily. Track the status ofeach pool and define coin to see profitability. The Switch pool operation can be performed for multiple miners in asingle operation, making pool switches for large number of minersefficient.